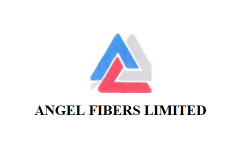 Business description - Angel Fibers is primarily engaged in the business of spinning of cotton yarn. It also trades in cotton waste which is a by-product of manufactured product. The manufacturing facility of the company is situated at Kalavad in Jamanagar district of Gujarat state which is close to the cotton growing areas of Maharashtra and Saurashtra (region) of Gujarat. The company has established a capacity of the spindlage of total 19584 spindles having installed capacity of 4363MT per annum to manufacture cotton yarn viz.,30s Ne Combed and 40s Compact variety of the Ginning and Spinning unit used to make products like bed sheets, socks, knitted fabrics, etc. and 40s Ne Compact Combed yarn used to make Shirtings, Sheeting, Bottom Weights, etc. The company aims to produce yarn of export quality and enter overseas markets. This year, it has started exporting its products to Bangladesh. To augment its international demand and preference, the company has recently procured fully automatic plant for spinning yarn with state of the art modern machines. Angel Fibers IPO allotment status is now available on Bigshare Services' website. Click on this link to get allotment status. can u please give me the phone no of a person who buys applications.contact me at 9820089209,someone in mumbai. Date is allotment and listing date is not given? Sold 5 [email protected] Subject to allotment.